PLYMOUTH ARGYLE SUPPORTERS ASSOCIATION LONDON BRANCH | Happy Days! 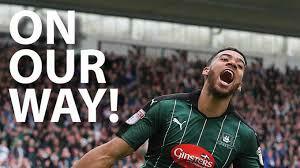 Fancy a night out watching Argyle getting promoted? Well look no further than the next PASALB social. On Friday 24 November, at the Hoop and Grapes, we will be showing the Argyle ‘On Our Way!’ DVD with every game and every goal from our promotion winning season. So come along, have a few beers, and relive some great memories in the company of other Argyle fans, and guaranteed no disappointments (well alright, we still don’t score the winner at Grimsby)! The screening starts at 7pm but arrive when you want.